ha una frusta giocattolo sotto l'abito da tè. quando l'acrobata sbaglia il salto. da quando ha vinto la gara del sollevamento pesi. tra il giornale e il gilè. e il macellaio mani di seta distribuì le munizioni. 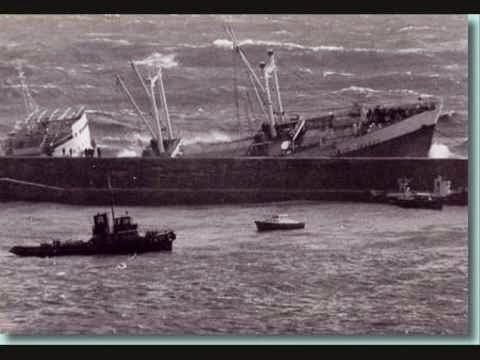 The shipwreck of the London Valour was an actual event that took place in Genoa in 1970. But the focus in this song is on the people who came out to the Genoa docks to rubber neck and watch the unfolding tragedy in morbid fascination. The lyrics are somewhat obtuse, with many possible references to political events and cultural figures from Italy's Years of Lead, (the late 1960's to the early 1980's), which were marked by tremendous social upheaval and terrorism. every dozen steps he finds a hand to step on. He has a toy whip under his tea coat. the sea will become a jackal. The paraplegic holds in his pocket a little bird, cobalt blue. when the acrobat fails his leap. the seamen, seagull eggs, rained on the rocks. ever since he won the weightlifting contest. steals the captain’s lover, entangling her waist. gave himself a battle name. between his newspaper and his vest. against every kind of shipwreck or other revolutions. And the butcher, hands of silk, handed out the munitions. 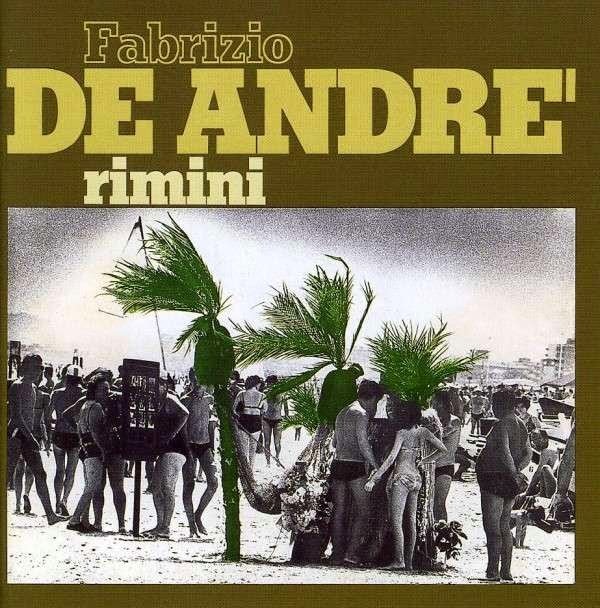 Rimini grew out of De André's disappointments with the political events of the previous couple of years. In close collaboration with Massimo Bubola, a young 24-year-old who had just released his first album, De André explored several social and political themes, including abortion, homosexuality, and how the petite bourgeoisie attempted to move into the ranks of the powerful and rise above the political and social turmoil of the times. The music has more influence from American rock and pop music than previous albums, and includes his first forays into ethnic music, which will eventually come to full fruition in his masterpiece album Crêuza de mä.